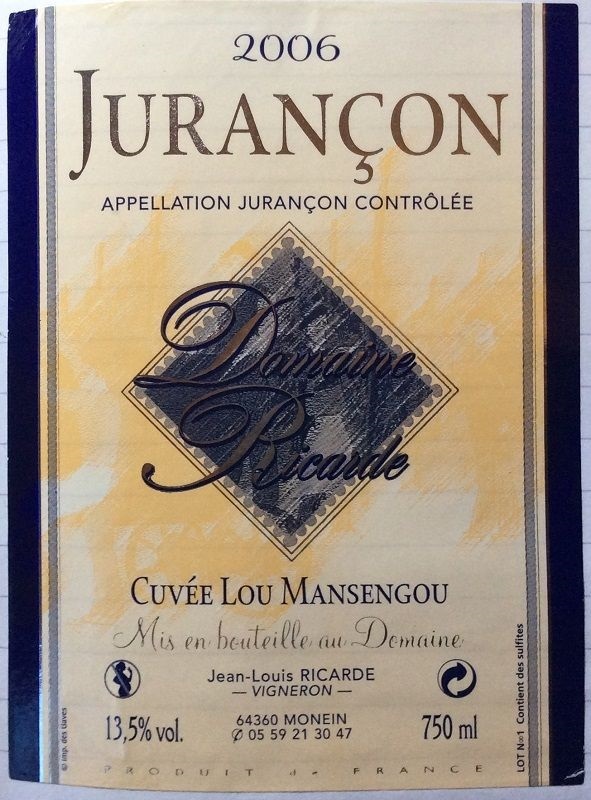 Quite a nice, if a little simple, sweet Jurançon. Deep gold. Pepper spice over caramelised quince, mango and yellow peach. Some vanilla and bruised apple. Apricot comes through strongly. And toasted, buttered brioche notes. Full-bodied, with medium acidity and sweet-but-balanced. Medium+ alcohol. Creamy, mango, ginger-touches and vanilla, with more apricot on the palate. Medium length only, so a little short. But pleasant.